Homes for Sale Rialto in Jupiter - Search homes for sale in Rialto. 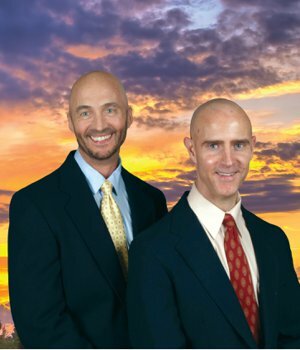 See all MLS Real Estate and homes for sale in Rialto, Jupiter FL. Rialto Jupiter is a collection of homes with beautiful living spaces that are conveniently located near some of Jupiter’s great amenities. Residents of Rialto live stylishly in a gated community that offers seclusion and spectacular scenery within its walls. A spacious greenway, eight lakes, wetland preserves, and a walking path create quality views. Living in Rialto gives you the best amenities available, and leaving home for fun or for work is easy thanks to the community’s prime location. 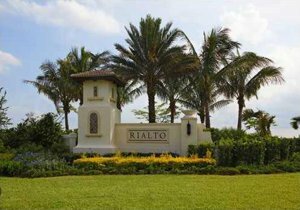 Real estate in Rialto Jupiter is made up of nearly 500 single-family homes in a gorgeous gated community. The exteriors have a California Mission design combined with Florida-influenced architecture. Some of the Rialto Jupiter homes’ features include Bahama shutters, barrel roof overhangs, stucco, arches, paver brick driveways, and wrought iron balconies. Floor plans range in size from 3 bedrooms in 1800 square feet to over 4,100 square feet with 5 bedrooms. call the Rialto Experts, Thom and Rory. Call 561-741-9666 or Text 772-349-8466. These newly constructed homes have hurricane impact windows to safeguard against Florida’s weather. The vast rooms have volume ceilings with exquisite crown molding. Gourmet kitchens feature granite, wood, and stainless steel design elements for a fantastic cooking space. For yard views, you can choose calming lakes or tropical plants in a private garden. Garages are sized to fit either 2 or 3 cars. Large swimming pools are ready for a refreshing break from the Florida sun. Thanks to the sidewalk-lined streets, it is easy to visit neighbors, friends, and family. In addition to Rialto’s great homes, residents can take advantage of the community’s private clubhouse, which is located just past the entrance gate. Basketball and tennis courts, a very large resort style pool with nearby water park, and a playground are ideal for all ages to play and relax. Another great resource is the walking and jogging trail surrounding the lake. Of course, Jupiter’s white sand beaches are only a short drive away from Rialto homes, making it easy to enjoy a fun day in the sun. 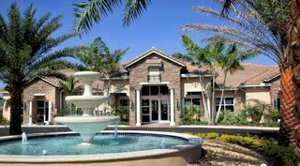 Rialto residents are close to the wide spread of shops, restaurants, and entertainment in Jupiter. The newest addition to the Riverwalk is Harbourside, a center for dining, shopping, and entertainment. Options include the always tastey and highly recommended Calaveras Mexican Cantina, along with Bravo Italian, BurgerFI, Tommy Bahama, and more. If movies are your interest you can watch the latest movies in a luxury setting, try the new Cinepolis, just across the street from Harbourside. Comfortable leather chairs, premium concessions, and top-of-the-line sound systems make movie-going an upscale experience. Just down the street from Harbourside on the Riverwalk in Tequesta are craft beers from Tequesta Brewing Company, an organically certified brewer with over 40 beers in a year. For the latest fashions, the Gardens Mall in Palm Beach Gardens boasts designers like J. Crew, Michael Kors, and Coach, plus many fine restaurants such as P.F. Changs, Brio Italian. Seasons 52 and Bonefish Grill are also nearby and the much sought after Trader Joe's market. GET TO KNOW MORE ABOUT JUPITER HERE. Residents of Rialto are served by the School District of Palm Beach County. The programs at these schools are continually rated as excellent. For alternative education, there are several private schools in the area. See all Rialto homes currently available below. HOMES IN THE RIALTO COMMUNITY WILL GO QUICKLY WHEN PRICED WELL. BE SURE TO GET ON OUR ADVANCED NOTICE LIST TO RECEIVE IMMEDIATE NOTICE OF THE LATEST LISTINGS PRIOR TO OR WHEN FIRST PRESENTED ON THE MARKET IN THE MLS. To get on the Rialto waiting list Call: 561-741-9666 or Text: 772-349-8466.